Tiro Technologies, LLC was created in 2010 to explore the commercialization of technology developed between 2004 and 2007 by Creative Auto Resources, Inc. to address the problem of tire pressure monitoring on any vehicle. 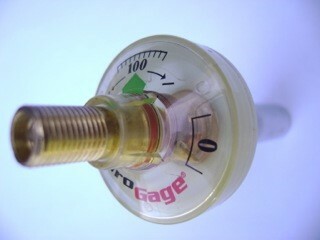 The goal was to provide a simple but effective platform for TPM practice that did not require electronics or vehicle modifications, but that was accurate and rugged enough for heavy duty environments and adaptable to any vehicle or wheel position.The result was TiroGage, a highly accurate, durable, and simple device intended to support all tire pressure monitoring applications, and the subject of many issued and pending patents. After several more years of testing and development with its manufacturing and R&D partner, Wika Instrument, LP, Creative Auto Resources agreed to sell its intellectual property to Tiro Technologies, LLC in 2013 in order to facilitate the worldwide launch of TiroGage and to continue the product development. TiroGage is assembled to exacting technical and quality specifications in the United States at Wika’s USA headquarters in Lawrenceville, GA.
TPMS is becoming one of the most important topics in effective automotive cost management, in many discussions regarding energy and environmental conservation, and in all discussions about vehicle operational safety. With the high cost of fuel, tires, insurance, roadside downtime and repairs, on time efficiency, vehicle costs, carbon pollution concerns and safety, TPMS will remain one of the hottest market segments today. 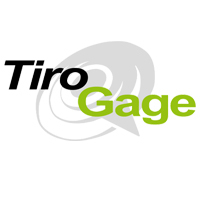 TiroGage provides drivers of many types of vehicle types and sizes better stability, handling, braking, safety and savings.